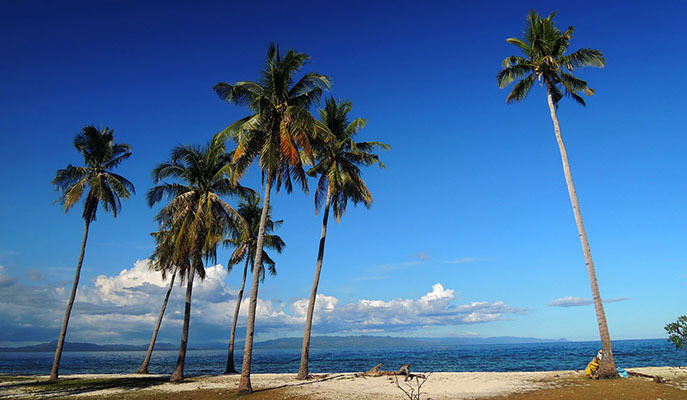 You’ve probably heard of popular Panglao Island, but we’re willing to bet that tiny Pamilacan has escaped your notice. Located a 45-minute boat ride away from Bacloyan, this hidden gem is the very definition of bucolic — it’s home to just over 200 families, and electricity runs only from 4pm to midnight. Spend your days lounging on the empty beach, contemplating the sea or reading a book. You can also snorkel at the island’s marine sanctuary, which is replete with healthy corals and lively fish. 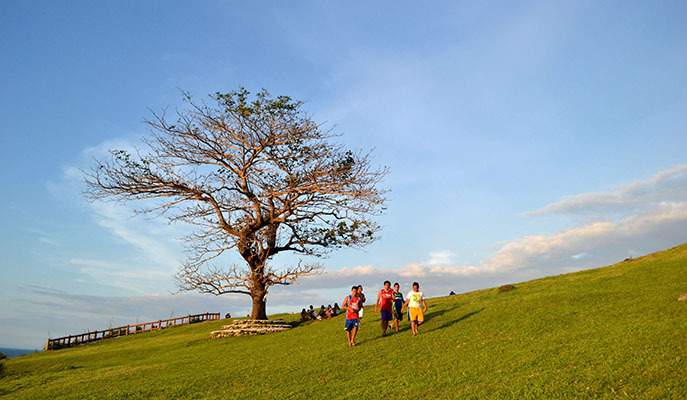 How to get there: From Tagbilaran City, ride a jeep bound for Baclayon. Then, hire a private boat or join the locals in a passenger boat. The Islas de Gigantes top many bucket lists, but for something more under the radar, check out the sandy beaches and sparkling waters of Sicogon. Life on the island is laid back: you can hunt for seashells, lounge under the canopy of massive trees, snap endless photos and strike up conversations with the locals. There are no resorts on the island yet, but you can stay with a local family for PHP300 a night, or pitch your own tent and sleep under the stars. 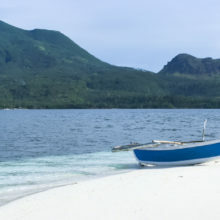 How to get there: Estancia, the jump-off point for both Islas de Gigantes and Sicogon, is an hour away from Roxas City and three hours from Iloilo City. Despite being dubbed “Little Boracay”, thanks to its pristine beaches, this peaceful island barangay is still very much underdeveloped. When my friend and I paid a visit, we cooked our own instant noodles and sardines for dinner, and spent the night in an open cottage under a sky full of stars. Sometimes, the best things in life are free! How to get there: From Roxas City, hop on a tricycle to Banica Wharf. 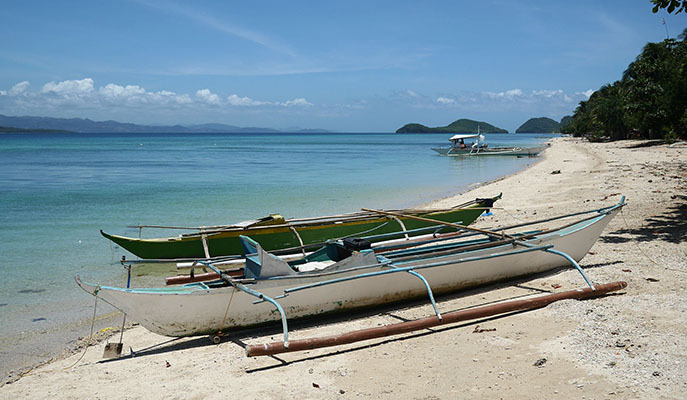 Then, hire a private boat to take you to the island — the ride will take around 45 minutes. 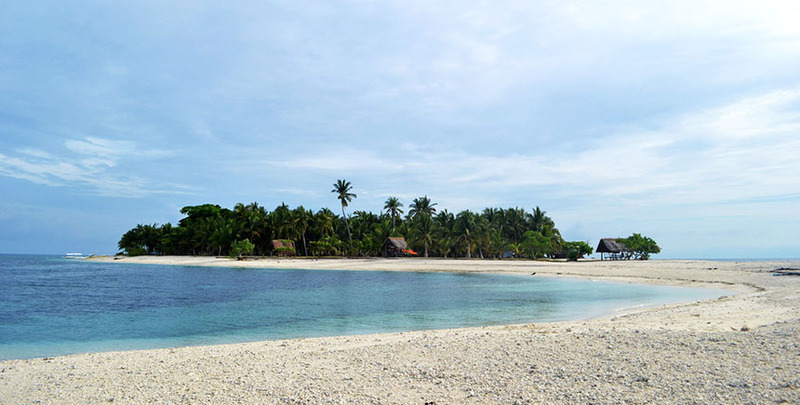 With limited electricity (like the rest of the islands on this list), this little island tucked away in northern Masbate will encourage you to focus on the here and now — whether it’s soaking up the sun, swimming in the clear, cool waters, playing with the local kids or chatting with the fishermen about their day’s haul. How to get there: From Bogo City in Cebu, take a ferry to Masbate. 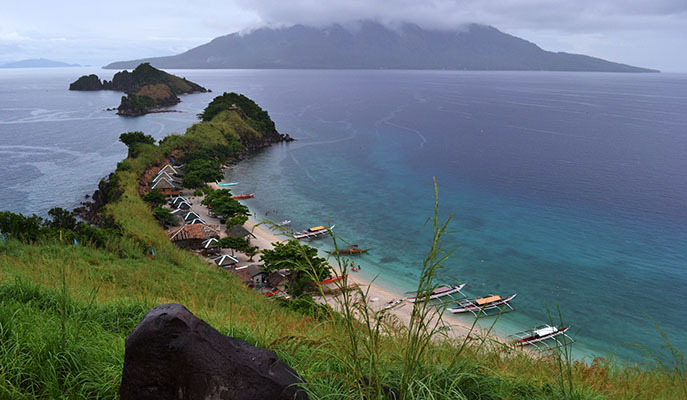 Ride a jeepney to Dimasalang before transferring to a boat. This island in Maripipi is beautiful in so many ways. 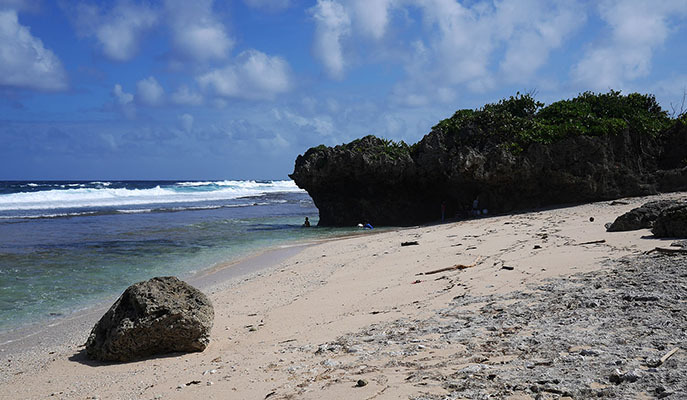 Some of the things you can do include swimming and diving in the marine sanctuary (which boasts great visibility), drinking tuba (coconut wine) with the stewards and staying overnight in a local home. There’s also a watchtower on the highest point of the island, from which you can soak up spectacular views of the sunrise and sunset. How to get there: From Tacloban City, board a bus to Naval, Biliran, and then a passenger boat to Maripipi Island. 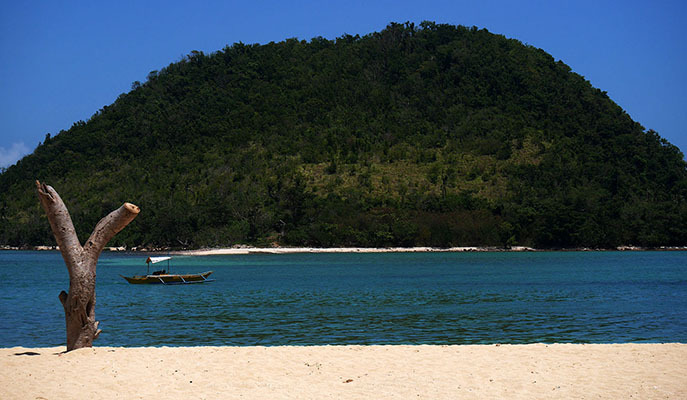 When on Maripipi, ride a habal-habal (passenger motorcycle) to Brgy Ol-og, the jump-off point for Sambawan Island. This island municipality might not have the best beaches, but its rugged terrain and fascinating people — who speak their own language — will capture your imagination. Visit the historic Capul Church, which served as a fortress against Moro fighters in the 16th century, before whiling away several hours by the island’s lighthouse, listening to the waves crash against the cliffs. How to get there: From Tacloban City, ride a bus or a van to Catarman, where the boat to Capul Island is docked. 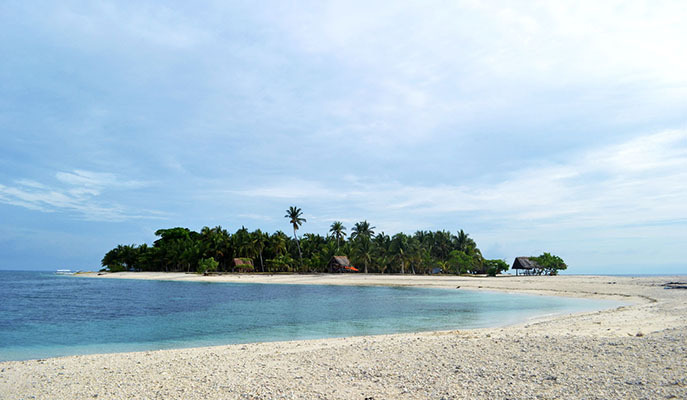 Calicoan Island is part of Guiuan, where Typhoon Yolanda made her first landfall. The island still bears scars from the tragedy and is undergoing reconstruction, but this shouldn’t dissuade the intrepid traveler. Venture forth, and you’ll be rewarded with crystal-clear tidal pools, long stretches of white-sand beaches, oceanic swells and intimate coves. How to get there: From Tacloban City, ride a bus or a van to Guiuan, before taking a jeep to Sulangan. Digyo (pronounced “digjo”) is part of Cuatro Islas (Four Islands), located off the coast of Inopacan. This little island is postcard-perfect, with ridiculously clear turquoise waters framed by swaying palm trees. There are cottages that you can rent for overnight stays; however, there are no food stalls on the island, so remember to bring your own packed food and drinking water. How to get there: From Cebu, hop on a ferry to Baybay before switching to a bus to Inopacan. 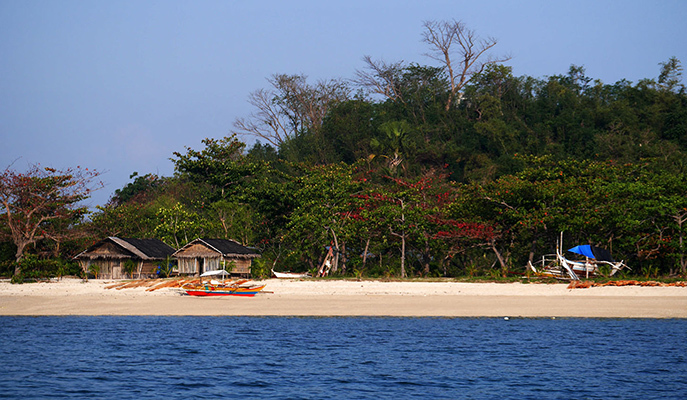 From there, it’s a 30-minute boat ride to Digyo Island.